Indeed Palawan attracts travelers from all over the world after it has been hailed as the “Best Island in the World” twice and consecutively. It has become a Philippines’ premier tourist destination, thanks to the untouched and jaw-dropping natural attractions. Not to mention the sudden tourism growth, as a result of the Underground River being selected as one New 7 Wonders of the World. Due to Palawan’s popularity and for being a high-class destination, many have gotten false thoughts about the majestic island saying that travelling in Palawan would be very costly – which I shall prove you wrong. Though there are already a lot of luxury beach resorts built in the most exclusive locations, there are still plenty of guesthouse, inns and pension houses where backpackers may stay during their travel in Palawan. Most of these affordable accommodation establishments may be found on the beaches all around the island and in the city centre of Puerto Princesa, El Nido and Coron. The room rates usually range from 300 to 1,000 pesos, depending on the type of room and the amenities. 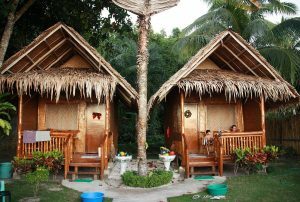 Among the many accommodation choices, there are also fully equipped campsites usually located in the most remote and secluded beaches of Palawan. Another option is to find an empty beach where you can set up your own tent for free. Aside from the accommodation, transportation is also important, especially when going to Palawan since some places are really far. They are the most common form of public transportation in Palawan. The tricycle is a three-wheeled motorized vehicle. It is made up of a motorcycle attached to a sidecar with multiple seating and a covered roof. In Puerto Princesa, tricycles often operate as shared taxis, and the passenger fare ranges from Php 10 to Php 3000, depending on the locality and the distance to be ridden. 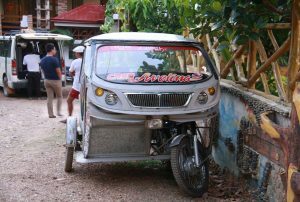 For longer journeys or in areas with heavy tourism such as El Nido, the driver will usually request that the passenger hire the whole tricycle and negotiate a “special fare”, which will then be a private hire. 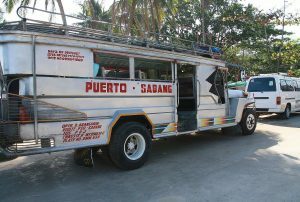 Jeepneys and Multicabs are the cheapest transportation in Puerto Princesa for medium and long distance rides. The tricycle drivers sometimes ask for bigger fare if you ask them to take you to places far from the city centre. Jeepneys and multi-cabs have assigned routes which are written on the front part or the sides of the cab so people will immediately know which one to ride and to avoid confusion, especially during the rush hours. The fare rate starts at Php 8 and may reach up to Php 25 depending on the distance of your destination. The long-distance buses, such as Roro and Cherry Bus are the most convenient and inexpensive way to travel from El Nido and Puerto Princesa. Buses and shuttle vans cover all the destination in Palawan from south to north and have frequent daily departures. Shuttle vans and Long distance buses depart from the Terminal in Puerto Princesa New Market. The fare for shuttle van is more expensive than bus. avoid complications. Also, make sure to always have coins or have bills with smaller denominations with you so drivers won’t have a hard time when they give you the change. Most of the banks and money changing establishments are found in the city area so if you’re planning to go in the rural areas of Palawan, make sure the money you have with you is enough. Travelling to Palawan is not as costly as what many thinks, it just so happened that it is being advertised as a destination that is very prestigious making people misunderstand Palawan. 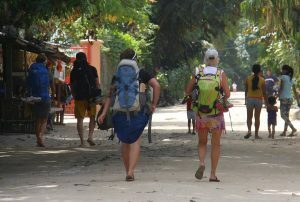 Palawan is a place where the elites and backpackers, gather to have first-hand experience of the beauty of this island.